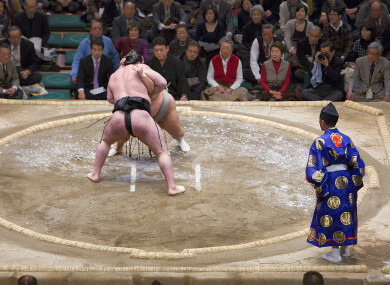 Anna Fifield writes in the Washington Post about how sumo wrestling has been rocked by a case in which a grand sumo champion called Harumafuji is accused of assaulting a younger wrestler named Takanoiwa. Bryan Curtis speaks to some of the 100 ESPN employees who were let go earlier this year to find how what they’re doing now. When Calvin Watkins joined ESPN Dallas, in 2009, it was as if he could hear print journalism’s death rattle. The Dallas Morning News, where Watkins had once worked, was in a period of decline. ESPN Dallas — and its counterparts in Los Angeles and Chicago and Boston — was going to stomp out newspapers like the guy at The Athletic. “We were going to take over the world!” Watkins joked last week. For a time, things were so tense that Watkins’s old Morning News pals were forbidden from talking to him. Kieran Shannon of the Irish Examiner writes that Republic of Ireland manager Martin O’Neill must change his managerial style or risk being replaced. As O’Neill would point out to O’Donoghue and the nation in the post-match interview last week, this level of sport is tough. It’s tough to win while losing is the toughest of all. Right now the management of the Irish national football team requires change. A new leadership style is required. In an ideal world that would involve Martin O’Neill changing, evolving, learning, adapting, like D’Amato did in the movies. With all he’s done for Ireland and in the game, he deserves the chance to be asked if he’s willing to change, and if he suitably outlines that he is, then he should be retained. But the study of leadership shows that most leaders tend to be fixed in their ways. And if O’Neill, as could be the case, resents even being asked the question, then he is no longer the man for the job. Sports Illustrated’s Greg Bishop interviews Russian-born boxer Sergey Kovalev about the time he spent in a Greek monastery after surviving a car accident. They were placed in a simple room that Kovalev affectionately refers to as a closet, fed a chicken dinner and led to the church. There, Kovalev was granted a special audience with the elder, the monk in charge. He says he thanked God and prayed and asked the elder the question he traveled to Greece to ask someone of that stature. He won’t say what the question was, but it’s clear it centered on this next phase of his life. “I prayed that I stay healthy, stay sober, stay focused,” he says. Kovalev stayed in the church until 5 a.m., slept for an hour, then returned for three additional hours of prayer. In the Irish Times, Malachy Clerkin meets Leitrim native Tony Daly, whose autograph book will soon become an exhibit in the Croke Park museum. “So what we did was get a little plain postcard, cut a photograph out of a newspaper and paste it onto the postcard. Write the little letter and put a stamped addressed envelope along with it and then send it off to the secretary of Dublin GAA or whatever else. So, Kevin Heffernan, c/o The County Secretary, Dublin GAA. We wouldn’t know any addresses – there wasn’t even phonebooks at the time. A stamp at that time was four pence. And finally, Daniel Storey writes a fascinating tribute to Denmark football legend Michael Laudrup in the Guardian. There is a doozy of an anecdote from Laudrup’s time in Madrid, which involves him eating in a fancy restaurant in the city in 1996. Laudrup was enjoying dinner with a friend and discussing retiring from football and leaving Spain. Sat a couple of tables away was King Juan Carlos I. Having overheard the conversation, Spain’s King wandered over. “That’s good news,” he said in Laudrup’s ear. “I’ll be the only King in Madrid again.” Truly the royal seal of approval. If that is the general framework of Laudrup’s career, it is in the minutiae that joy can most easily be found. It is a bold shout, but there may have been no better exponent of passing and dribbling in harmony. He was certainly the best of his generation. Email “Sumo scandals, finding peace in a Greek monastery and the rest of the week's best sportswriting ”. Feedback on “Sumo scandals, finding peace in a Greek monastery and the rest of the week's best sportswriting ”.